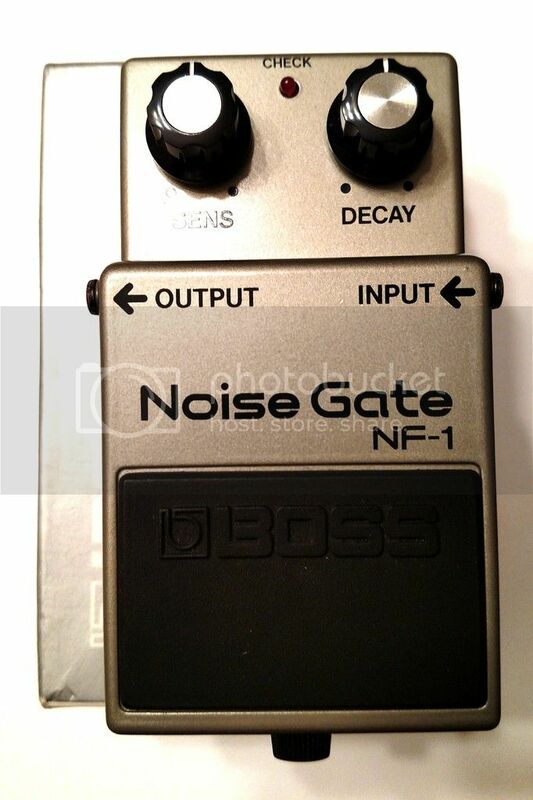 Sold MIJ Boss NF-1 Noise Gate (1984) - PRICE DROP! Discussion in 'Pedal Effects Gear Emporium Archive' started by FromTheBassMent, Apr 26, 2016. SOLD! Okay it's a noise gate. Not exciting. But it works, it's lived most of its life in a box in a closet (over 30 years! ), it's totally clean and in its original box. MIJ black label, serial number 433100. I will ship the day after your PayPal payment is received (unless you pay on Saturday, ten I'll ship on Monday). MIJ 1984 Boss NF-1 Noise Gate - PRICE DROPPED TO $50 shipped/insured Priority Mail to your door! For sale only... no trades at this time, thanks!